The era of Rock ‘n’ Roll exploded in the 1960s with the introduction of The Beatles and the ensuing “British Invasion…” and greats like Frank, Dean, and Elvis were left in the rear view mirror of pop music. For years, most every rock band hitting the scene either bore a close resemblance to the bands of the ’60s from the garage band ensembles to the Fender, Rickenbacker, and Gretsch electric sound with lots of 7th chords, not to mention two and three part harmonies. While music evolved over time, that look and sound was the underlying influence in much of the new artists hitting the scene until the era of disco, Madonna, and rap started to take pop music through another transition. But no matter how powerful the new sounds and looks were with young audiences, there seemed to be a longing at every turn to hear that sound again; and that longing led to a new explosion of rock which started with ’60s tribute bands like Beatlemania and The Fab Four. A new excitement arose to hear the note for note renditions of the awesome Beatles songbook. Now there are many tribute bands paying homage to their favorite bands of the ’60s, ’70s, ’80s and beyond. While other forms of music continue to enjoy popularity, there seems to be an undying love for garage band formats with electric and acoustic guitars and drums making up the foundational composition of how they produce their music. 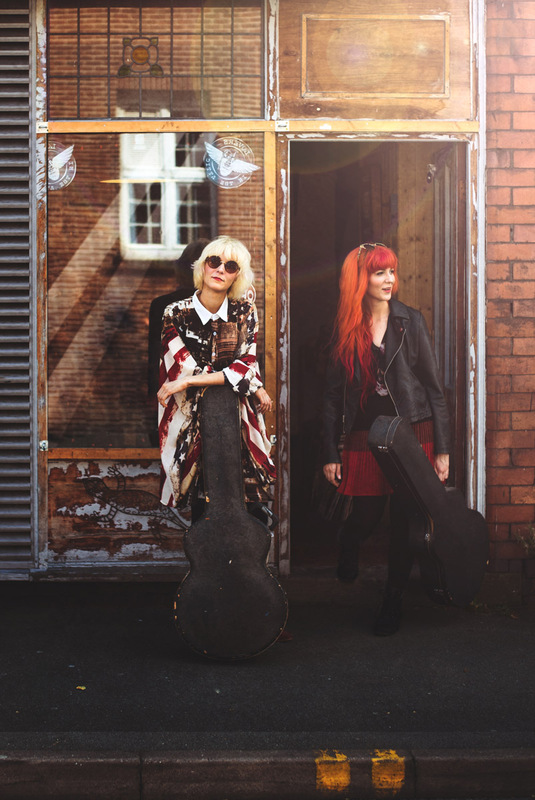 GGM is excited to share with its readers a female fronted “garage band” The MonaLisa Twins originally from Austria but moved to Liverpool in 2014, featuring twin sisters Mona and Lisa Wagner whose love for the ’60s era and sounds has influenced them as musicians with emphasis on rhythm and lead with a great backbeat from the drums. Their sound is unique in today’s music landscape but bears a striking resemblance to the sounds of perhaps the most influential decade of our past, the 1960s. 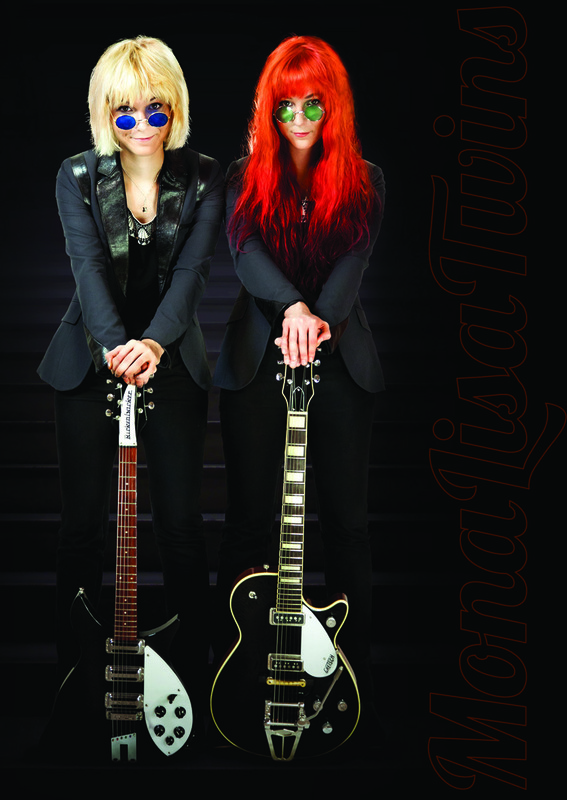 We had an opportunity to catch up with Mona and Lisa to learn more about their backgrounds, musical influences, their two albums of original material, including their recent release ORANGE, an album with ’60s style song-writing, great guitar licks, and awesome harmonies. Below is our conversation with the Twins…enjoy! Your new album ORANGE is your second album and it’s been receiving great reviews. I’m so impressed with the music and lyrics on this album. Share with us your inspiration and vision for ORANGE. M: Musically, we had ventured out into territory that we hadn’t before. We had a strong vision as to what the overall listening experience should be like and the kind of emotions we would want our audience to feel. We knew that in order to serve the songs best, in many cases we’d have to add more than the ‘two-guitars, drums, and bass’ arrangement of our debut album to the mix. There was a powerful beauty in keeping it simple back then when we were 16 years of age, but for this release some of the songs were begging for more complex instrumentation: strings, piano, banjo, some brass and loads of quirky little details. From minimalistic to big orchestra sounds – whatever it takes to tell the story best. While we were very aware not to repeat ourselves from our debut album, we also took care not to break what we are about. Melodic songwriting, bright guitars, and lots of harmonies will always be a big part of what we do. And, hopefully, lyrics that speak to the orange side of you. About life, love, the ups and downs, and how important it is to not take oneself too seriously. John Sebastian joined you on one of the singles “Waiting for the Waiter.” How did that collaboration take place? M: Many years ago, when we first moved to the UK, someone we used to work with sent John Sebastian a few of our videos. We were hoping for a press quote or just some positive reply but back came the words: “They’re fabulous, sure as you’re born! I would seriously enjoy playing on their next project.” Most people know John for fronting and songwriting for the Lovin’ Spoonful (“Summer in the City,” “Do You believe In Magic,” …). However, he is also a phenomenal blues harp player and has played on records with Crosby, Stills, Nash & Young, The Doors, Gordon Lightfoot, and many others. L: Obviously we were over the moon to hear from such a musical hero of ours. Two years later, when we were starting to write for ORANGE, two songs just begged for some harmonica playing. Instead of doing it ourselves, we decided to take him up on his words. He was all up for it and recorded the tracks at his local studio in Woodstock which he then sent over. A few months later, we even got him to fly over to the UK, so he could feature as the mysterious stranger at the bar in the official music video for the single. To have him play on ORANGE was a dream come true! ORANGE has such a wide variety of music. Tell us about the recording process, the musical instruments you recorded with, and any other musicians involved. M: Besides John on blues harp, everything else was played and recorded by the two of us and our dad Rudi. It always turns out that way. We usually enter the recording process thinking we’ll be asking other instrumental specialists to play on it, but when we’re in the middle of a session we always get super excited and ambitious. Every time we started working on demo tracks for other players – string parts for example – we would get so into it that we might as well could do them ourselves. That’s how Lisa got into playing cello, which isn’t something she did much before. Our dad is a great bassist and pianist, we both play guitar and I play the drums. We all took care to expand our skills over the years to have all the basic instruments covered so that it is much faster and less expensive to produce a record. L: It’s also a great way to force yourself to branch out into new playing styles. With “In It For Love” for example, I envisioned these jazzy chords and guitar lines that I had no idea of how to play. That’s when Google and YouTube become your best friends. A few days of researching and practising techniques and I was able to come up with something that matched the ideas I had in my head. M: We are incredibly lucky to have a recording studio in our own home. Our dad used to run a very successful studio back in Austria. When we all moved to the UK in 2014, he took the equipment with him and rebuilt it in our new place here. We use it exclusively for our own projects now and couldn’t think of a more perfect set up. L: Our dad also co-writes, produces and arranges all our music, and to be able to just go downstairs at 3 am on a Tuesday night to record a new idea or some guitar lines is a real luxury and a musician’s phantasy come true. There’s so many great songs on ORANGE. If you had to pick one that speaks to you the most, which would it be and why? M: I think we both agree that “In It For Love” really sums up what we think life is all about. There are some more philosophical, introspective and maybe sociocritical moments on this album, and as much as we think it is important to talk about these things, we wanted to bring it all “back to basics” with that song. It’s short and sweet and the title speaks for itself, we’re in this for love. It differs from your debut album When We’re Together which was released in 2012. How do you feel you have grown musically over the years? L: ‘When We’re Together’ feels very youthful to us, perfectly capturing the period of when we recorded it. We were only 16 when we started working on it. We’re now 23 and have grown personally and musically. We had the pleasure of playing a Saturday night residency at the Cavern Club every Saturday for two years and got to tour with Steve Harley & Cockney Rebel. While there were many other inspiring moments like opening for guitar legend Albert Lee or working on lots of studio productions, we feel that it was those two things that made us develop most as playing musicians. Performing in a hot, sweaty Cavern for two hours every weekend, with a crowd that expects you to nail those George Harrison and Chuck Berry solos keeps you on your toes. Touring with Steve Harley and playing with his amazing band on the other hand required a more nuanced, sophisticated approach that really taught us to listen and improvise. Playing guitar solos with Jim Cregan every night, who also played, produced and wrote with Rod Stewart for many years, pushes you to up your game. It was a while between those two albums and you were quite busy during that time, although you did release the MonaLisa Twins Plays Beatles and More. Can you fill us in on what you’ve been up to? L: We’ll promise not to let our fans wait for another 5 years until the next one. But it’s not like we were twiddling our thumbs during that time. As you said, we released a cover compilation album with some of our most popular YouTube Covers, of which there are nearly a hundred on our channel now. We went through periods of intensive work on our YouTube channel, we moved from Vienna (Austria) to Liverpool, we played the two-year Cavern Club residency, the Steve Harley tour and loads of live shows while building our online business. We’re only a four piece family operation, and as much as we love the song, sadly there aren’t ‘Eight Days a Week.’ Throw a bit of personal and behind-the-scenes business meandering into the mix and five years fly by in a heartbeat. We really can’t complain though, we’re truly blessed to be able to live and work on our dreams. We wouldn’t want it any other way. Many young women your age are listening to Top 40, but you both have such a love for the ‘60s music and that songwriting style, and it’s apparent throughout all of your music. It’s great that you’re bringing this style of music to a younger generation. How did that love develop? M: Our love for the ’60s developed in our early teens when we first discovered the entire back catalog of The Beatles. Our dad got given the new remasters of all their albums on a hard drive by a friend. Out of curiosity and boredom, we started clicking on random mp3 files. It hit us hard. Our love and borderline obsession for the band rapidly grew from there and our personal Beatlemania started. We infected our best friend in school and started learning every Beatle song and fact there was. Did you know “Martha My Dear” from the White Album was inspired by Paul McCartney’s sheepdog? Then we discovered more and more music and bands from that era, and our love for the ’60s was born. Both instrumentalists, can you each tell us a little about your musical background and the instruments you play? L: We both started playing when we were 11 years old – Mona took drum lessons in high school and I did guitar. Only a year later we started going to each other’s lessons and were learning both instruments. When we stopped school at the age of 15, we kept on teaching ourselves by studying our favourite songs and musicians. Bless YouTube and online tutorials. I have always been the lead guitarist and Mona, with her drumming background, mainly plays rhythm. We both have our strengths and have learnt to play off each other when we’re performing. Over the years we’ve picked up a few more instruments – I also play the ukulele and a little bit of cello. Mona still records all drum and percussion parts and plays blues harp. We even have a cross flute at home that is still waiting to get discovered. With over 100 music videos under your belt and millions of YouTube views, how important is social media for a musician in today’s environment and how do you approach staying in touch with your fans through social media? 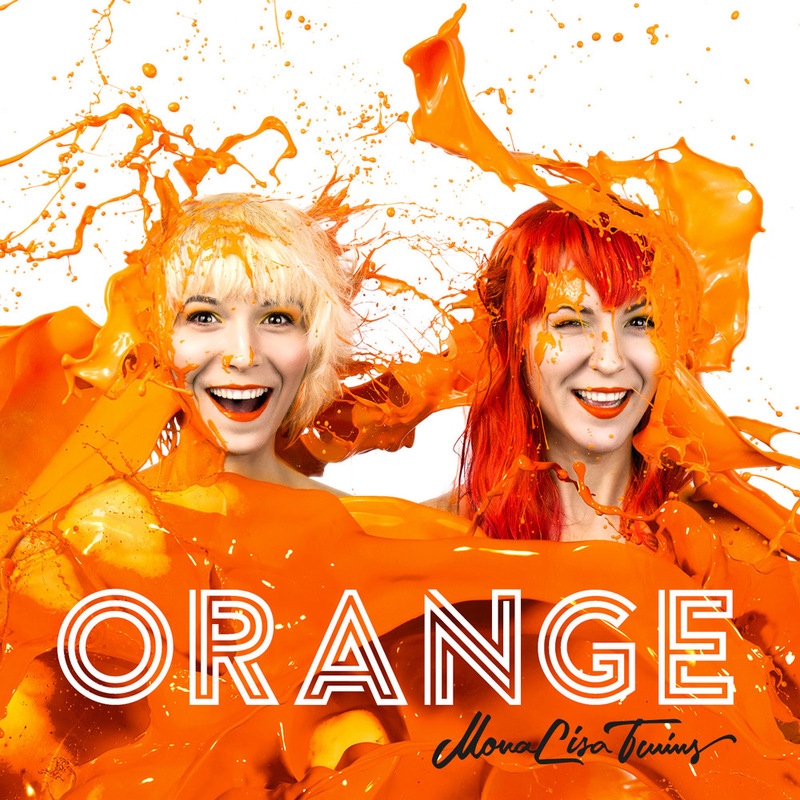 To learn more about these talented young ladies and their new album ORANGE, visit their website at www.monalisa-twins.com. Awesome interview! That’s sweet how John Sebastian remarked about their work. Definitely need to be listening more to their music! You will love it all CJ; covers and originals and especially their originals! My best advice is to get on their website and buy all their CDs and their DVD. To preview their works, subscribe to their YouTube channel and watch all 100 some of their videos. Great times! Brilliant interview, I have all the music that they have released as well as a team shirt. I can’t wait for a chance to see them live & if possible meet them. These Girls really are AWESOME and very very Talented! Their vocal harmonies are absolutely mind blowing! I have listened to everything they have done (Originals and Covers) and they ARE the real deal! Not only are they very Pretty, their personalities are sweet, funny and heartwarming! Their videos are cute and very creative. They will go far in my book. I too can’t wait for Mona and Lisa to tour The United States (especially Florida since I live here). I’m doing my part to FB post their videos as much as I can without annoying my friends. I want The World to know about The Monalisa Twins as I Truly want to see them as Sucessful as they can be. They truly deserve it with all their hard work!